So Much Depressing News! What's a Yogi to Do? Recently I hear many friends and students who express frustration, confusion, anger or depression in the face of a constant stream of bad news, public craziness, and endless catastrophes. The destructive effects of climate change, ignorance, negativity and selfishness have combined forces like a relentless tsunami spreading despair everywhere! What to do? How does a person with high ideals, goodwill towards all, and desire to help others cope with what seems like a growing fogbank of darkness? How can one not imagine the destructive cumulative effects of all this craziness? How can one be optimistic, cheerful, and even-minded "amidst the crash of breaking worlds?" For this opportunity, we were born: you and me. To develop wisdom, non-attachment, faith, courage, hope, forgiveness and to take positive action in the face of seemingly overwhelming odds: wow, what a gift! What a GREAT time to be alive and conscious! For us, the choices are clear and compelling. Think of the founders, families, soldiers and others who confronted the British Empire in a revolution in 1776 that changed the world. They could NOT have won on the basis of any logic or resources other than their own conviction, faith and courage (and the grace of God and a karmic destiny to be fulfilled). Here and now is an armed revolution NOT the need; what is needed is a spiritual revolution. As Mahatma Gandhi and Rev. Martin Luther King, Jr. faced an empire and a nation without the weapons of violence and "overcame," so we, a nation of peaceful warriors, can overthrow the ignorance and selfishness of a nation and a world. Neither Gandhi nor King saw the fruits of their labors during their lifetimes, and so must we understand that we, too, may not see "righteousness rain down like a river" in our lifetimes. Not just those of us over sixty years of age, but many others of you may not see "the shift." It is not ours to measure our success though success is assured. Spiritual success comes from non-attachment to the results of our efforts. So we mustn't think ahead (only to be temporarily frustrated) to the manifestation of the forms of success. It is our spirit, attitudes, and consciousness (and living example), that will stem the tide and reverse the tsunami. It is our love for God and love for God in all that is the only true measure of "success." Nor must we imagine that this fair planet will achieve in its outward form the paradise or perfection that we ourselves may imagine is the goal. As Jesus Christ, a man of great compassion and love for all, nonetheless admitted: "The poor ye shall have always." Same can be said of all evil and suffering. For this world is simply a school and we've come here to learn lessons and graduate. We didn't come here to make a perfect school. We should make the school a better place if we can, for sure, but it is only a school. We were not created to stay in school forever. We were created, as my childhood Baltimore (Catholic) catechism taught me, "to know, love, and serve God in this world." "The drama of life," Paramhansa Yogananda stated, "has for its lesson that it is simply that: a drama." As Swami Kriyananda (Ananda's founder and a direct disciple of Paramhansa Yogananda) would sometimes explain: imagine you begin to read a novel. Everything is just perfect and there is no conflict. You'd put the novel down after a few pages or chapters. The drama of creation and human life requires conflicts and opposites to keep it interesting and ongoing. God does not permit us to use reason alone to figure out that He's really behind the drama. He wants us to choose to seek Him for His love, not for the gifts of His creation and not for obtaining His power over creation. The magnetism of creation's maya (delusive nature) is far more powerful than the separative, ego consciousness of any individual. Why? Because ego is itself "maya." Thus, neither the report of our senses nor our reason can "pierce the veil." Yogananda, who lived in and around Hollywood during its heydays between the 1920's and 1950, compared the creation as the play of light and dark projected on the screen of our sense perception. Sitting in the movie theatre, he'd tap a friend on the shoulder and say, "Look into the beam of light from the booth of eternity." It's all a light show. During the movie, we laugh and cry and are wholly engrossed. But it's only light pouring through the film. When we leave the theatre of life, it no longer has any real impact on our lives. I was thinking recently about the despair friends feel. Imagine, I said, that everything in the world around was made perfect: climate, health, sustainability, harmony with nature and among nations and peoples. For a while, those who remembered the times of disharmony would revel in the newly found peace. But, after a time, then what? Would we be happy, inside? In ourselves? Relieved, yes. Glad the turmoil is over, yes. But happy? And what about the next generation; or the next. Soon no one would remember what it was like. Would THEY be happy? They would likely be bored, restless and spoiling for a fight with someone. The truthful answer is: NO. Why? Because outward circumstances cannot, by themselves, bring us anything other than passing sorrow or joy. The eternal and lasting and unconditional joy that our souls remember is "an inside job." "The kingdom of heaven is within you," Jesus taught. "Not Lo here, or there." During troubled times in the mid-twentieth century, two great saints of modern India were asked the same question by despairing men and women around them. "What are we to do in the midst of the chaos, violence, starvation and suffering that surrounds us?" Each, Ananda Moyi Ma and Ramana Maharshi, independently, gave the same response: "Don't you think that He who has created this world knows how to deal with it? You might, understandably, retort: "Apparently, "he" does NOT!" But, friends, think again. Step back from this drama and know that light and dark, war and peace, and joy and sorrow will continue to ebb and flow, in conflict, trading places for an eternity. This non-attached view does not mean we reject God's creation, for God Himself, as we read in the Bible, declared it to be "good." Indeed, we can only make peace with the ceaseless flux when we have the God's eye view that all creation is a manifestation of God's own consciousness. In God consciousness, life is joy but in ego consciousness life is suffering. Our effectiveness in times of crises is greatly enhanced by remaining calm. If that is true of daily life, how much more is it true for our worldview? The characters, good and evil, on the stage of life, are playing their parts for a time and then withdraw behind the curtain to change costumes and exchange roles. Bad actors imagine they are the roles they play. But the great actors know it is but a play. Such ones can return home untouched by the drama. The deluded, evil ones must come back until they want to reform. The virtuous players find out sooner because by the nature of virtue their consciousness expands beyond the ego. But even virtue is insufficient because "virtue is [merely] its own reward." We must also seek to know, love and serve God who is above good and evil. We do this through the process of ego transcendence and by inner communion with God. Only in this way can we achieve the permanent beatitude that banishes all suffering forever, just as the great Buddha did. We should strive to make this earth a better place and our lives ever more serene, virtuous, and pleasing to the God within our souls. We do this for our upliftment and as an example to others who are struggling with sorrow, pain, or poverty of body, mind, or soul. But we do this without false expectation and without attachment to the outward consequences of our efforts. For God is the Doer. Dissolving the sense of doership in favor of being a channel of Divine Light is the way to freedom from all action and for rest in the Self. The Way of Return is shown to us by the Wayshowers: those who, themselves in a past life, achieved the cosmic vision of God and who return to share the "glad tidings" of our freedom and salvation from all suffering. This is not accomplished en masse in history by some great eschatological event like the "Rapture," but soul-by-soul. 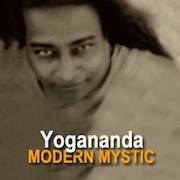 Paramhansa Yogananda predicted difficult times ahead for humanity. After a period of great turmoil, he said a period of relative peace would descend upon humanity who at last would have tired of conflict. But, never mind these outward things, rejoice for the opportunity to see clearly the upward path to soul freedom. Be of good cheer. Do your part. Link with others of like mind. Pray and meditate daily. Seek divine attunement and inner guidance in all that you do. You are not who you think you are. You are the eternal Atman, the pure Soul, a spark of Infinity, as "old" as God "Himself." You are the I AM.